How incredibly powerful, yet simple is that statement?? I shared this via Instagram earlier this week and I thought I would share it again here today. 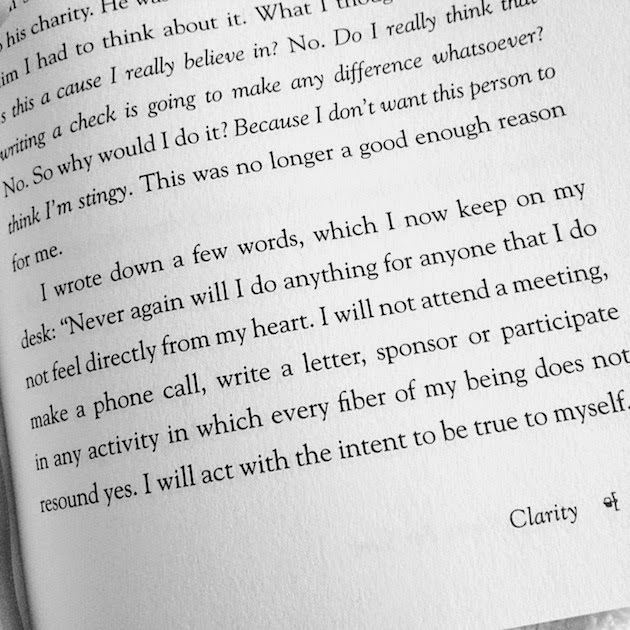 This is from Oprah's new book. It's really one of the best books I have read in a very long time - which is why I keep sharing it. I'm in the process of making some big decisions in my personal life and this book came along at just the right time. This particular paragraph and chapter has helped me really focus on why and how I am making some of these decisions. It reminded me that I need to make these important decisions for myself without any regard to how anyone else is going to feel or think. That's so much harder to do than it sounds sometimes, but life is so much more real and meaningful when you doing things that truly and solely represent what is in your heart. It just is... Anyway, that's my two cents for today! I hope this is as helpful to you as it has been to me... Have a great weekend and enjoy the links! I featured her in last week's links and I just had to feature her again. Here is why. So pretty. Forget more... Such a great reminder. Fun links! I love that refrigerator!